The big thing that I did this year is I learned how to knit and I LOVE it. Seriously addicted. I took an Intro class at Haus of Yarn back in March and haven't stopped knitting since. I even started a monthly crafting group and have started recruiting others to knit with me. I'm such a geek about knitting that I have favorite yarns and needles (yes, there are major differences between needles - who knew?). I even make it a point to visit yarn stores when I travel! It's insane! But it's so much fun and it's very cool to have someone comment on something you're wearing and you say "Oh - I made this." Visited Vegas. I know this might not seem like that much of an accomplishment for most, but I hadn't been to Vegas since I was 9 years old. It's changed a bit since then. We went for my Mother-in-Law's birthday, and part of the celebration included going to see Zumanity. If you haven't heard of this show, look it up. It's crazy and an interesting choice of show to see with your Mother-in-Law (she had a friend who worked there and gave us tickets). Lots of laughs though. I started racing trails, which is something I said I would never do. Lesson learned, huh? I have nearly killed myself several times because trail running is hard, y'all. But running through mud is fun, so I keep doing it. Completed two Half-Ironmans - Raleigh and Muncie. Sure - they weren't my best races time-wise, but both races were a lot of fun and I got to spend time with good friends. Raced the New York Freakin' Marathon!! This was huge and something I will remember for the rest of my life. If you're a runner, you NEED to do this race. I got to fill in Washington, North Carolina and New York this year! Not a huge advancement, but I'm getting there. We still have a home full of dogs. I don't talk about that very much, but we are involved with Big Fluffy Dog Rescue and have fostered for two years. Dudley and I currently have two fosters right now, along with our three residents. If anyone is ever looking for a dog - talk to me. I can find you a dog! And finally, on a very sad note, I lost my grandmother in 2016. She was 101 years old and active until the very end. We miss her, but were fortunate she was with us for as long as she was. As far as next year? I don't know. I'll still read a lot, but I probably won't do the 52 in 52 again. Knitting has eaten into my reading time, so maybe I'll cut the book number in half. We'll see. I'm kind of looking forward to just seeing what comes along!! I hope everyone has a wonderful 2017!! Wow- this month has really flown by! Christmas is only four days away, which also means that I have about a week and a half left in my 2016 reading challenge. Thanks to my new knitting addiction, it's been tougher to get those 52 books in this year, but I'm currently on track to finish them all. I'll write more about that in a post next week, because THIS post is about something I read this month. 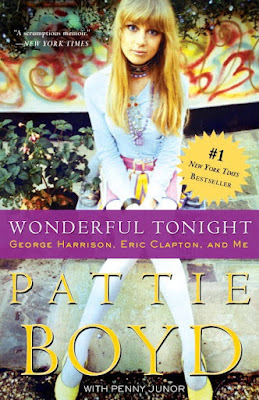 And that is "Wonderful Tonight" by Pattie Boyd. For those who don't know, I'm a huge Beatles fan and have been for as long as I have been listening to music. I was obsessed with them as a kid, which is pretty funny considering they weren't a current band. My friends all had posters of whatever teen sensation was hot at the moment on their walls, and I had pinned up good old John, Paul, George and Ringo. To this day, I still have statues of the Fab Four on display in our house. They were given to me for Christmas when I as in 7th or 8th grade and they creep my husband out to no end, but I love them. Even as a child, I was a voracious reader and I read whatever books I could find on the boys from Liverpool, so I have known of Pattie Boyd, George Harrison's first wife, for decades. Considering she is known as THE musical muse of the 1960's, I was looking forward to this book and hearing about her life from her perspective. A little backstory for those who aren't familiar with Pattie and her place in rock history - she is the inspiration behind The Beatles "I Need You" and "Something" (which is one of my favorite songs of all time). She also famously inspired Clapton's anthem of unrequited love "Layla." As I mentioned, she was George Harrison's first wife. Then 19 and a local model, she met George in 1964 while on the set of "A Hard Day's Night," where she was cast as a schoolgirl. Harrison was immediately smitten with Boyd, and (according to Boyd) proposed before even asking her out, which she declined because she was seriously dating someone else. She promptly went home, dumped her boyfriend and started dating Harrison soon after. They married in January 1966. George became good friends with Eric Clapton in the late 1960's. Clapton soon fell in love with Pattie and so created one of the infamous love triangles in rock & roll history. Clapton pursued Pattie even though she was married to Harrison, writing such tormented songs as the aforementioned "Layla" during his pursuit. At one point, Clapton blatantly admitted to Harrison "I have to tell you, man, I'm in love with your wife." Eventually, Harrison and Boyd broke up, and Boyd married Clapton. They stayed together through a few drug and alcohol-fueled years before divorcing when Clapton revealed he was having a baby with an Italian model. (This child, Conor, tragically died after falling from a high-rise window in New York City and was the inspiration behind Clapton's "Tears in Heaven"). Now, from that backstory, you would think this book would be AMAZING. What a life this woman had! She married not one but two of rock's greatest legends and inspired some of their best work! (Clapton's "Bell Bottom Blues" and "Wonderful Tonight" were also written about her.) But unfortunately, the book kind of fell flat. From what I can tell, Boyd spent a good portion of the 60's and 70's in an alcohol and drug-induced stupor. She probably doesn't remember a whole lot of it, especially 30 years after the fact (this book was published in 2007). And that's how the book reads. It jumps around in time and is kind of scattered. And honestly, Boyd doesn't come off as all that interesting. I'm sure she has some depth to her personality, but the book made her come off like some pretty fangirl who got lucky and married a rock star - twice. Yes, she was very pretty, but a surely there had to be more to her than her face to inspire two musical geniuses. Unfortunately, this book doesn't show it. This month's book was one that got a lot of buzz two decades ago (WOW - I'm old), but one that I never got around to reading. I purchased the book and everything (I used to purchase ALL of my books. Moving a few times helped rid me of that habit. ), but just could never summon the energy to start reading it. Which is weird, because the topic is one that actually interested me. The book? 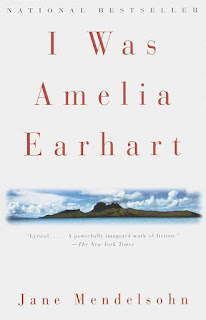 "I Was Amelia Earhart" by Jane Mendelsohn. It's a short book, only about 160 pages. It tells a fantastical story of Amelia, and her navigator Fred Noonan, the days immediately prior and after their disappearance. The twist is that it is told from the perspective of Amelia and Fred. But I have to tell you - I didn't love it. It wasn't "bad." Not at all. Mendelsohn's writing is quite lovely, in fact. Almost like a poem. However, I think I was more in the mood for lighter reading at the time and I just couldn't get into lines like "The sky is flesh." The narration also jumps from first to third person really quickly and I didn't like that. It wasn't confusing, but more annoying (for me). Since I own the book, I'm tempted to keep it for a while and read it again in a year or two. Maybe I'll be able to appreciate it more when I have time to fully absorb the writing and themes of the book. But for now, it was just Ok. I purposefully delayed my race recap of the New York City Marathon a bit because I wanted the experience to fully soak in before writing about it. But then I got sucked into binge-watching old seasons of Gilmore Girls before the revival came out last Friday, so it's a BIT more delayed than I had planned. Oops. However, even after waiting almost a month to write this recap, I'm still kind of at a loss for words about the marathon. It was just SO huge. SO overwhelming. Words just can't do it justice. It is truly something that has to be experienced to fully understand the enormity of this race. 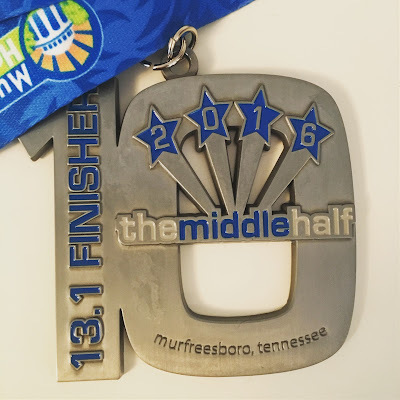 If you are a runner and have any desire to do a marathon - this is the one to do. We started our adventure on Friday with the Expo. (I learned my lesson from Chicago and made sure we had a few days in New York before the race to hit the expo and relax a bit. MUCH less stressful!) 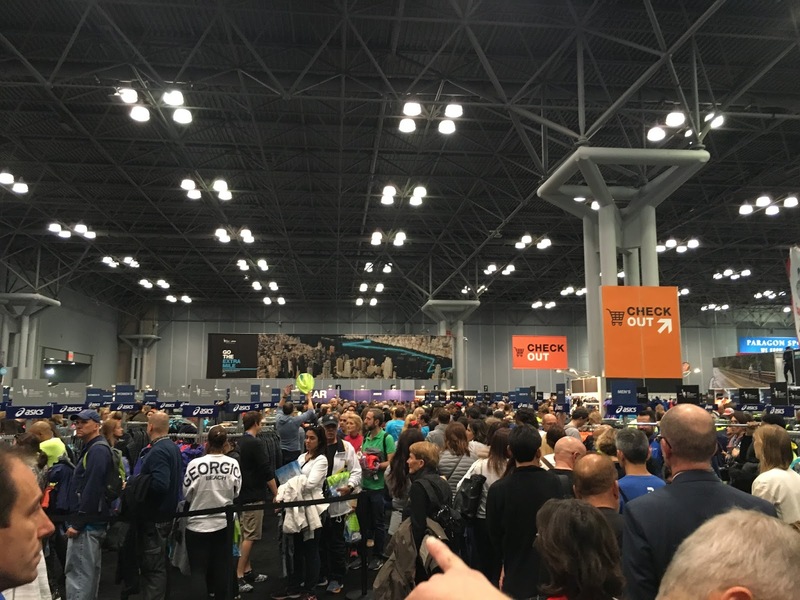 We had plenty of time for packet pick up and to do a little shopping, which was good because it was PACKED!! Picking up our bibs and shirts wasn't so bad, but the swag line for official gear was kind of a nightmare. It serpentined around and through the entire shopping area. The line for the expo. Still about 20 minutes from checkout. As you would imagine, the NYC marathon brings in all of the heavy hitters from the running world, whether they are running the race or not. We randomly saw both Kara Goucher AND Shalane Flannigan while wandering the expo. It was very cool. I missed Meb though. I would have loved to have seen him. The next morning, we headed out to meet up with Team in Training for a little shake out run (THANK YOU again to everyone who donated to my TNT campaign). I was the only TNT'er based in Nashville for this race, but a group had been communicating online, so it was nice to finally meet everyone. 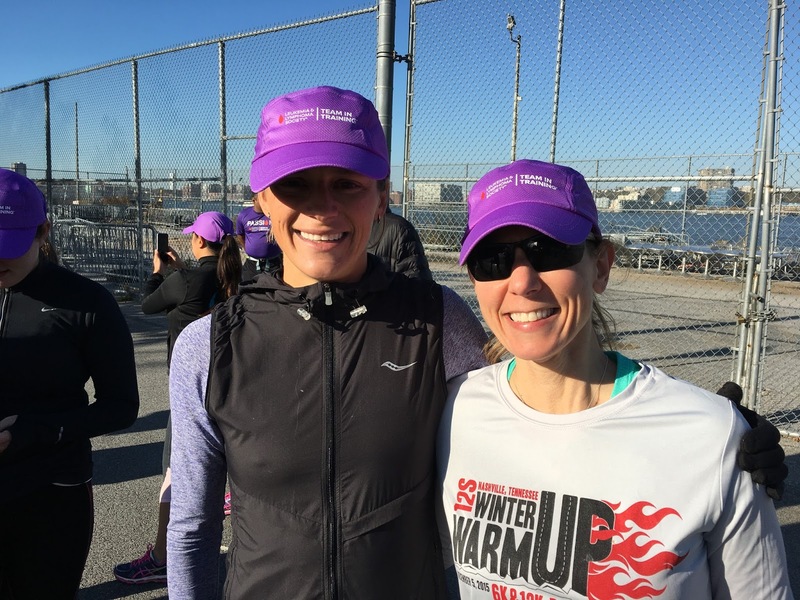 Professional triathlete Linsey Corbin joined us for the run. I totally fangirled her and got a photo with her. The rest of Saturday was pretty much spend resting and making sure we were set up logistically for the race on Sunday. The NYC marathon is the largest marathon in the world with over 50,000 runners. It has a lot going on just because of how huge it is. 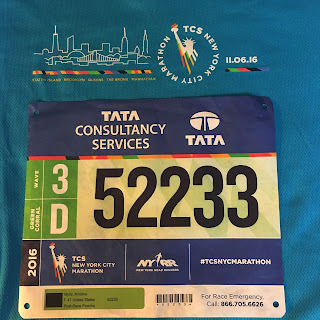 Additionally, it's a point-to-point race, stretching from Staten Island to Central Park, and you have to get transportation to the start. Fortunately, TNT had morning shuttle busses for us, and I was able to secure Dudley a spot on the same bus. 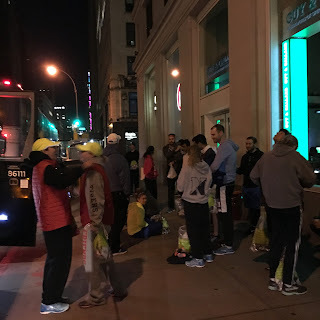 Even though we had to meet about five hours before the race start, it was a relief to not have to worry about subways and ferries, which is what a lot of runners took to get to the start. I heard later that some of the ferries were severely delayed and runners missed their start times. Sunday's alarm rang at 4:30 AM, but it didn't really matter as I was up anyway. Even though I wasn't really racing, I still had pre-race jitters. Funny how that happens. After getting dressed and eating, Dudley and I made our way to the shuttle stop. I based our hotel location on this stop, so I knew we weren't far. And we weren't. It took all of five minutes to walk there - which meant we had to hang out in the cold for a half hour before we could board the busses. Me and my Type-A personality! Oh well, at least we were in the right spot. Just hanging out in the cold. I don't recall how long the trip was over to Staten Island, but it wasn't too bad. We did get stuck in traffic for a bit with all of the other shuttle busses, but again, it was better than being out in the cold. Plus, we were off our feet for a bit. The Verrazano Bridge! My next trip over will be on foot! After disembarking from the shuttles, we had to wait in line to get through security. We did a lot of waiting over the weekend. Once we were inside the Racing Village (the starting area) we had about three hours to kill, so we sat and people-watched for a bit. Dudley did bag-check for the race, so we were able to wear several layers of clothing and stay pretty warm while we waited. Some people took waiting very seriously and came prepared with blankets and pillows. Being first-timers, we didn't think about things that much. A blanket would have been nice though. but the people directly in front of us came prepared! Bummed because I left my spacesuit at home. We got a little bored after a while, so we also did some wandering around the "Villages." Yes, this race is so big that there are villages. THERAPY DOGS! They had therapy dogs for the runners pre-race! Timeline of the various start times for the villages, corrals and waves. Map of the Villages. We were green. At about 10:20 AM, our village, wave and corrals (Green, Wave 3 and Corral D) were called to the start line. FINALLY - after five hours of waiting- we only had about 20 minutes before we were going to be able to run! This was also when Dudley and I split up. He was assigned a different Corral, and we decided that since I had trained and he hadn't (AT ALL), that we were going to run separately. While I was very excited to finally start running, I was little bummed when I realized that my Village was assigned the lower level of the Verrazano bridge. I wanted to run on the top level. It just seemed cooler, plus you didn't have to worry about anyone peeing on you. Apparently - that's a thing. But Green ran the lower level so I stuck to the inner section of the bridge to avoid any pee splatter. Being on the lower level also meant that I lost my satellite reception immediately, so I had no clue as to my pace or distance. Then, even when I regained satellites, my distance was off for the remaining 24 miles. It was a bummer, but since I wasn't really going for time, it didn't matter too much. Post-Verrazano bridge, we headed into Brooklyn. The spectators were great. We had a perfect day for them to come out and cheer - around 55-60 degrees and sunny. One of those day where it got a little warm running in the sun, but nothing too bad. Pretty ideal conditions, actually. Step by step we made our way through the boroughs. I wish I had some witty stories to fill up the page, but I don't. I pretty much just ran non-stop for the next 4:45 hours. It was extremely crowded, and I found that I ran with the same group most of the race. It was just too crowded to move around people unless you REALLY wanted to. I didn't want to expend the energy so I just went with the pace of the crowd. Every once in a while I would slow down and take a good look around just to absorb the experience. 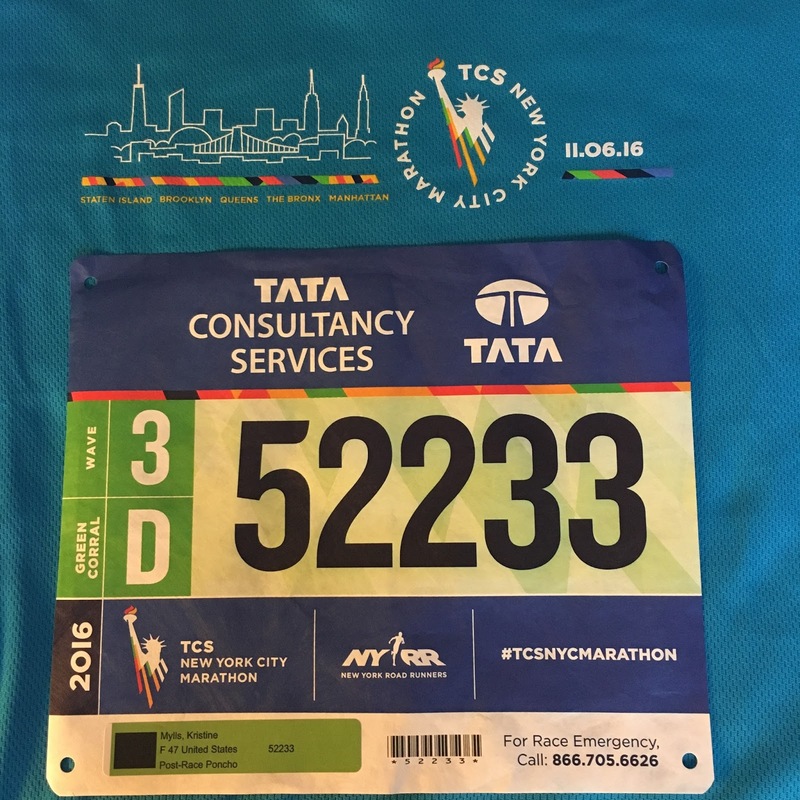 I was running the freakin' New York City Marathon!! How cool was that? The course was relatively flat, though there are several bridges that hurt. I had an issue on the one bridge around mile 15 that led us into Manhattan. My left calf, the same one that tore earlier in the season, was giving me fits and it felt like it was going to seize at any time. I think it was because, while I had run hills in training, they weren't like running over mile-plus long bridges that just went on forever. Exiting that bridge was SO LOUD though. You heard the crowd way before you saw them. This might have been my favorite moment of the race (other than the finish, naturally). Props to the spectators (again). I felt relatively good until the dreaded mile 20. 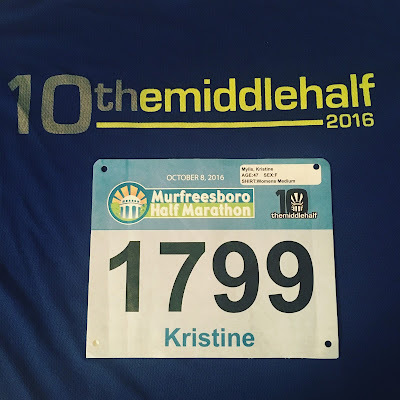 While things didn't completely fall apart, I was READY for the race to be over. I was so happy when we entered Central Park and headed toward the finish. Again, the spectators were 4-5 people deep and yelling their fool heads off. Even if you wanted to stop to walk, I can't imagine actually doing it because of the crowd. They almost carried you to the finish. The only thing that was kind of annoying here was that the spectators seemed to be more inclined to walk on / through the race course in Central Park (pre-finish line barricades). I almost ran into two of them. Come on people! I know you want to see your runner, but we're TIRED and have been running for a really long time. Don't make us swerve to miss you!! And then, there it was. The finish line. After almost 11 hours of waiting and running, I was actually there. 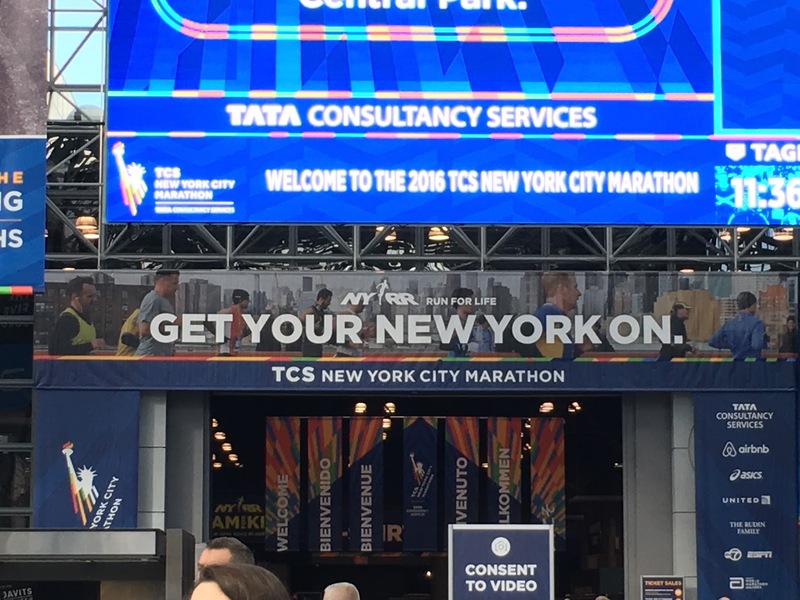 I finished the New York City Marathon. I ended up finishing in something like 4:47, which kind of surprised me because that's what I ran in Chicago and I felt terrible in Chicago. Even with the calf issue, I felt MUCH better in NYC. Dudley finished a just shy of 6:00 which is amazing considering he didn't train. I think the marathon was his fifth run of the entire year. If you couldn't tell - I LOVED LOVED LOVED this race. Would it be something I'd want to run every year? Probably not. It's just too much of a "thing" logistically, plus it's a pretty expensive weekend. 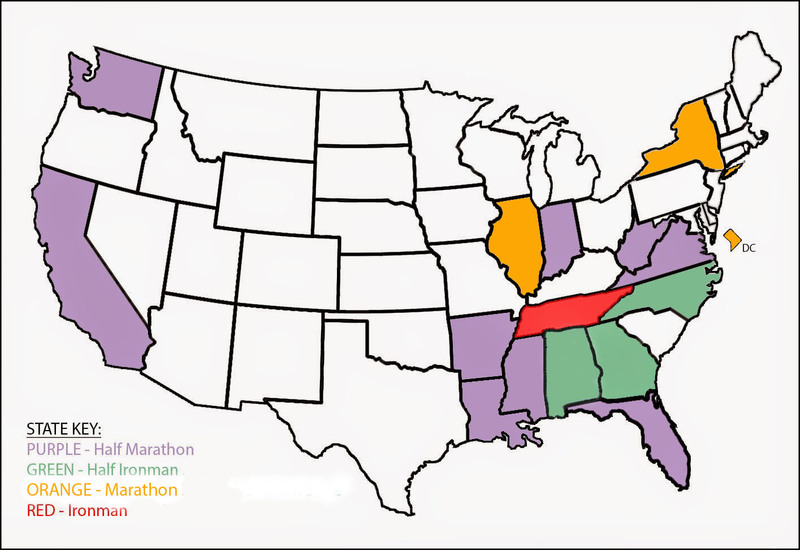 However, I'd love to run it again in a few years and I absolutely recommend it to anyone who wants to run a marathon. Or even if you don't - head up to NYC for the weekend and be a spectator. They looked like they were having a blast out there cheering and dancing! As always, a huge thanks to Dudley for being such a good sport and supporting my crazy race adventures. THANK YOU to everyone who donated to my TNT campaign, which allowed me to participate in this race. And thanks to Andrew from FTP Coaching who got me (again) to another finish line upright and smiling. It's no secret that one of my favorite authors is Jane Austen. I have read all of her novels several times. I own all of her books as separate editions, as well as a complete set of her novels in one bound edition that is a fixture on my bedside table. One time, when Dudley was out of town, I finished the book "Pride and Prejudice" and then immediately watched both the BBC mini-series and Keira Knightly film adaptations of the book. A veritable "Pride and Prejudicepalooza," if you will. So, when I heard about "The Austen Project," I was intrigued. This project, sponsored by HarperCollins, pairs six contemporary authors with the six completed books of Jane Austen. Each author was assigned to rewrite the book, but under a contemporary lens. Unlike "Bridget Jones' Diary" or "Clueless" which were inspired by the novels but had different characters, these books would use the same characters and storyline as the original books - just updated. So far, I have read three of them - "Emma," "Sense and Sensibility" and "Eligible," which is the retelling of "Pride and Prejudice." 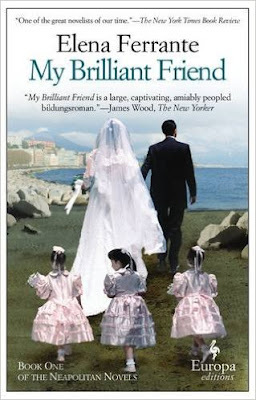 While I would love to say that I have really enjoyed these books, I was ready to give up on The Austen Project after reading two - "Emma" and "Sense and Sensibility." It's not that the books weren't well-written, because they were. It's just that even though the authors tried to update the books, it wasn't enough, and plot conflicts that were prevalent in the early 1800's aren't really applicable today. This was an era where if a man and a woman were alone in a room together, it was assumed they were getting engaged. Estates being entailed to the eldest male heirs so the wife and daughters end up homeless don't exactly fly in today's society. And don't get me started about secret engagements that can't be broken because the man feels it's his duty to marry her even though she's a horrible person. It's a SECRET ENGAGEMENT! Who is going to know?! Given my history with the Project, when I received the notice that "Eligible" arrived at the library, I didn't exactly race down to go pick it up. In fact, I even contemplated not reading it at all. But when I went to the library to pick up a different book ("My Brilliant Friend"), it was still there so I picked it up. And I'm glad I did because I, surprisingly, really enjoyed it. 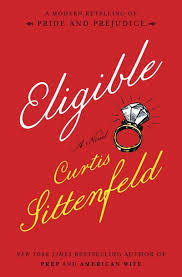 "Eligible" was written by Curtis Sittenfeld. 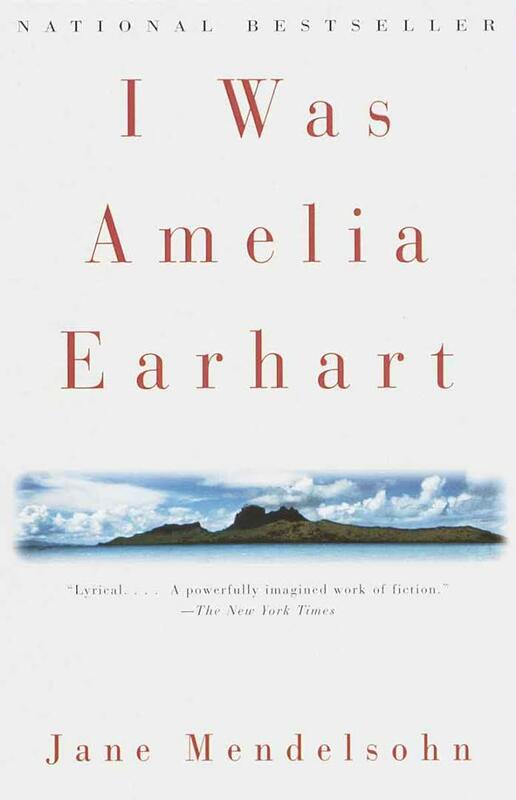 I've never read any other books by her, but she's now on my radar. What I liked so much about this book is that she not only updated it, but she changed the storyline JUST enough to make it seem realistic. Sure, some of the storylines were a little far fetched, but this isn't supposed to be great literature. It's supposed to be fun, and it was. The characters weren't 100% the same as the original novel, so it was neat to see how the storylines were going to develop. You still have the five Bennet sisters, of course. Lizzy is a writer, Jane is a yoga instructor, Mary is a professional student, and Kitty and Lydia are cross-fit enthusiasts. Mr. Bennet, is still very kind but kind of clueless and Mrs. Bennet is an overly-dramatic, somewhat racist, mess. Darcy is a very, very proud neurosurgeon and Bingley is a contestant on a "Bachelor" type dating show called "Eligible." And catch this - they live in Cincinnati! How do they all fit together? Well, you're just going to have to read the book and find out. As far as the rest of The Austen Project, I think I'm going to give the remaining books a shot. At least the one for "Persuasion" when it comes out, since that's one of my favorite Austen novels. Hopefully, it will be as fun as "Eligible" was. After a great three days in Seattle, we caught a ferry to Bainbridge Island. Seattle is surrounded by all sorts of cute islands, and Bainbridge came highly recommended, so we went there. I suggest that if you go to Bainbridge Island, make your lodging plans earlier than a few days prior. I'll go into why a bit later, but trust me. Killer seagull. I'm not joking. He's a legend in Poulsbo. After a tasty lunch in Poulsbo, we headed back to downtown Bainbridge. Like Poulsbo, they had a cute downtown area with lots of little shops and restaurants. I looked up at one of the directional signs and saw something for Churchmouse Yarns and Teas. As you might know, I've been obsessed with knitting recently and Churchmouse is famous in knitting circles. They have some great patterns, including a fabulous one for a poncho that I'm currently making. Surely, this wasn't THE Churchmouse, right? Turns out - it was! They're based on Bainbridge Island! Who knew? I was honestly more excited about seeing this store than any normal person should have been. I spend a LONG time in there looking around and talking to the clerks. I didn't buy anything, because heaven knows I have more yarn than I know what to do with, but I wanted to! As I mentioned earlier, if you want to spend the night on Bainbridge Island, make your plans earlier than two days prior to going - especially in peak season. There is only one main hotel - the Best Western and, unfortunately, that one was booked, so we went the B&B route. After many phone calls, we finally found one that had a room for two nights (our length of stay on the island). It looked very promising! It had llamas! Who doesn't love llamas?! But once we got there, we found the place was really run down and not exactly clean. I don't want to bash the owner by naming the place, because she was very nice, but I think she was just overwhelmed and couldn't maintain the place properly. Steps were broken, grass was overgrown - we didn't even get keys to the room because she couldn't find them. Unfortunately, by this time, there wasn't anything we could really do about it as there weren't any rooms left on the island. We HAD to stay there at least one night. But on a whim, we called the Best Western, hoping that maybe someone had cancelled for the next night. While no one had, they told us of another hotel that didn't come up on any previous searches. HAZZAH! We were able to secure a room for the following evening and got the heck out of the rundown B&B. Our last day on the island, we got up crazy early and headed out to Olympic National Park. We easily could have spent our entire vacation at this park. It. Is. HUGE! They even have two sets of rainforests! But since we had to get down to Tacoma for the half marathon, we only had one day at the Park. We hiked two sets of trails, though we didn't go THAT for out on either one. We thought about it, but we really didn't have the right shoes or enough food and water to go out in the wilderness all day, so we stayed on the more popular, calmer trails. We didn't want to end up as a news story about stupid tourists who got lost with no food, so the state had to send the National Guard out on a search and rescue mission. If you haven't been to this part of the country, you need to put it on your list. I'm warning you though - there is so much to do! We never even made it to Victoria or to Mt. Rainier, which were two of the main things I thought we were going to do originally. Both Dudley and I had a great time and we're really looking forward to going back. Soon. Dudley and I recently went to Seattle for a little vacation. Neither one of us had ever been to Seattle, or that part of the country previously. In fact, all I really knew about Seattle was what I'd seen in movies, the Seahawks, and that it rained all of the time. Oh - and Starbucks was based there. But considering I don't drink coffee, that last one didn't really appeal to me. But since Seattle is close to several National Parks and a ferry ride away from Victoria, British Columbia, I figured we'd fly in to Seattle and spend a day before moving on elsewhere. Wow- was I wrong. Seattle is so cool and there is SO much to do! We spent three days non-stop exploring and I'm sure we could have easily spent the entire week there and been throughly entertained. We mainly hit the touristy stuff - the Space Needle, the Farmers Market...those kind of things, although we tried to stay away from the touristy restaurants and ventured to more of the local haunts for food. Probably the first thing we noticed about Seattle is how dog-friendly the city is. I'm not exaggerating in stating that within the first half-hour of getting there, we saw two dachshunds and a corgi out walking. This is my kind of town! There also happened to be a dog-park across from the hotel - BONUS! The second we noticed about Seattle? It's freakin' HILLY, y'all! Not so much where the hotel was, or by the Space Needle, but if you go down to the Farmers Market and then down to the waterfront, be prepared to walk up and down some serious hills. Even more tourists were here. The line went down the block. For coffee. The Gum Wall. SO DISGUSTING! We did a cool tour called Underground Seattle. Did you know that Seattle is actually built on TOP of Old Seattle? Apparently, the original city was in a place where buildings weren't really supposed to be built, so they would flood a lot. And then they caught fire in 1889 and most of Seattle burnt down. Rather than moving the city to someplace a bit more hospitable, they decided to rebuild ON TOP of the old buildings and just pave over everything. It still blows my mind how it all worked out, but the tour was fascinating and also hysterical, so if you go to Seattle, you should go on this tour. Here is a link telling more about it. We also did the trip up the Space Needle and a tour of the Chihuly museum, which is adjacent to the Space Needle. Expensive ticket, but worth it. One day we took a trip over to Ballard, which was a recommendation from our hotel front desk clerk. They have a canal there with the busiest locks system in the US. Who knew? I had never seen locks in action before. It's a slow-process, but very interesting, especially since they had been doing this here for over 100 years. They also have a Fish Ladder there, which just cracked me up because while I know fish don't climb ladders literally, it's certainly an interesting visual. In actuality, a Fish Ladder is a way for salmon to pass through the locks. For more info, check out the Ballard Locks website. We really had a great time in Seattle, and know there was a lot more to explore, but we had other places we wanted to visit while were we in the area, so we left after three days. If you ever have the opportunity to visit Seattle, you should go. It's not a cheap visit - it's up there with NYC and, apparently now, Nashville. But it's worth it. Up next: Bainbridge Island and Olympic National Park!